Get ready to explore our round-up of the latest trends in custom cabinetry for 2019 and beyond. Which will be your favorite? The fastest-growing trend in cabinetry is the use of open shelving to replace some or even all of the traditional upper cabinetry. This works especially well in small kitchens, providing a light, airy feel that homeowners are embracing with gusto. Open shelves are also a practical option, keeping frequently-used kitchen items handy and easy to find. 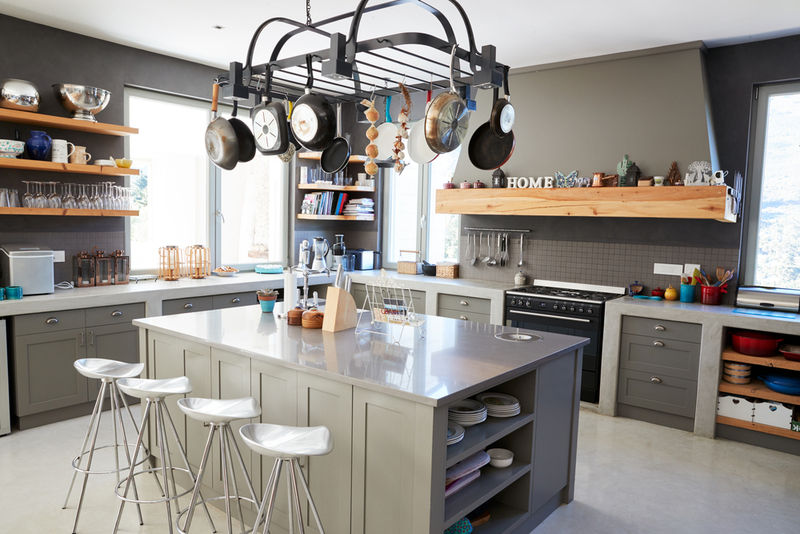 But practicality aside, many are using this new trend to make a design statement, displaying everything from heirlooms and antiques, to eye-catching groupings of cookware, teapots, wine bottles, bowls, or mason jars. Some are even utilizing the open space to add splashy wall colors or artwork behind the open shelving. Homeowners are embracing minimalism, reducing clutter, and making their spaces more efficient and inviting. The latest trends in cabinet design embrace these ideals with clean, simple lines, recessed door panels, and smooth edge profiles. Even the handles on many modern cabinets are becoming less obtrusive and simple, featuring clean, low-profile designs that play quietly in the background. While state-of-the-art cabinetry from a decade ago included space-saving features like the lazy susan, today’s modern cabinets take space-saving storage to the extreme. Swinging doors that reveal storage inserts for everything from silverware and dishes, to coffee makers or bread boxes. Pullout doors that house a host of items from pots and pans to convenient recycling and trash bins. Many designs include racks to store canned foods. 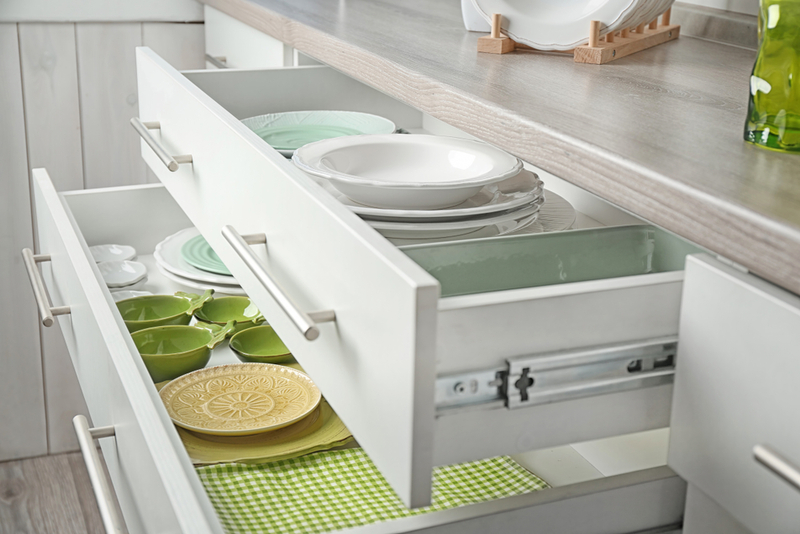 New drawer insert designs that can be configured to hold just about anything from cutlery and flatware to dishes, bowls, or spices. Narrow spaces between cabinets repurposed to store cookie sheets, muffin pans, or pot lids. All of these clever innovations combine to keep today’s kitchens more organized and clutter-free than ever before. While white cabinetry has been a popular trend for many years, neutral cabinet colors have gained popularity in recent years. 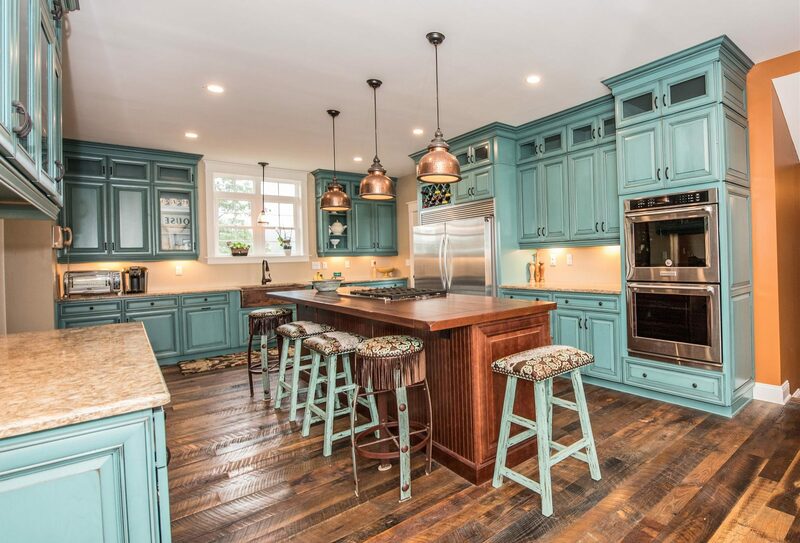 However, the most recent trend is finally bringing color back into modern kitchens. Some of the most popular colors are still neutrals, but they are softer, incorporating yellows and light greens into the mix. Medium shades of blue, grey, and yellow are the most popular colors right now. For an upscale look, many are turning to bolder, more dramatic color schemes including emerald green, inky black, navy blue, and even plum tones. A design staple from the 1970’s until the early 1990’s, oak cabinetry has taken a backseat to cherry, maple, and engineered wood alternatives in recent years. But many homeowners are starting to embrace oak again, reconnecting with the past. 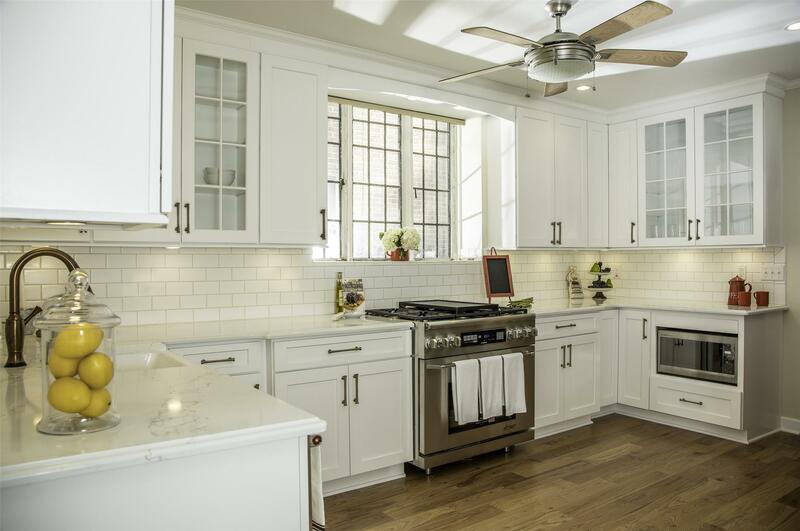 Oak’s neutral color and beautiful grain patterns make it the perfect choice for a wide variety of kitchen designs from French cottage and rustic looks, to traditional and modern designs. The newest oak cabinets incorporate the latest in modern design elements from recessed panels to flat doors with inset details. Plus, they can be finished in a wide array of colors, from a simple clear coat to an endless variety of custom stains. While most modern cabinetry designs emphasize simplicity, with clean lines and subtle details, a growing number of homeowners are pushing the envelope, mixing different wood types or finish colors to create unique kitchen spaces, personalized to their style. 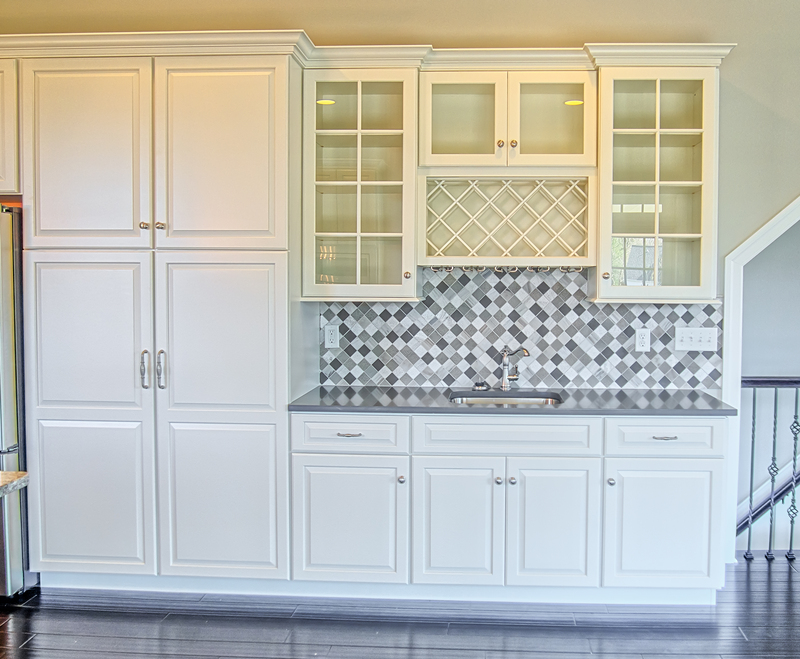 Choosing white or light-colored upper cabinets and using natural wood for lower cabinetry. 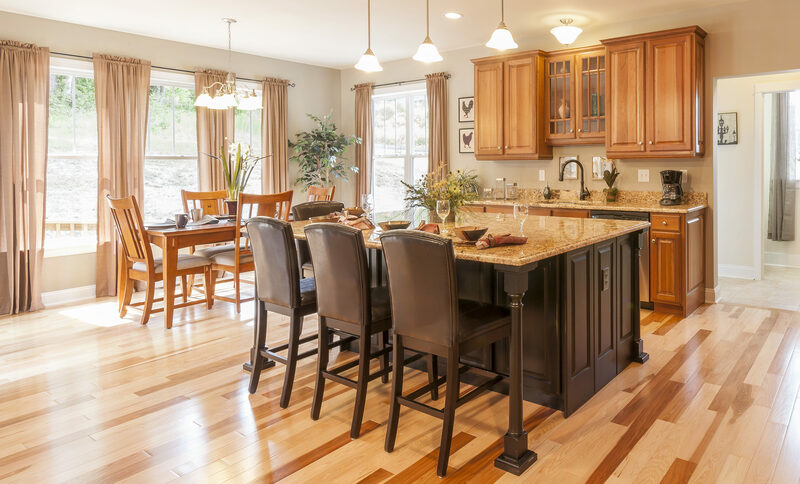 Using one style of wood on perimeter cabinets, reserving exotic woods or bold colors for the kitchen island. Adding contrasting colors on cabinet doors. 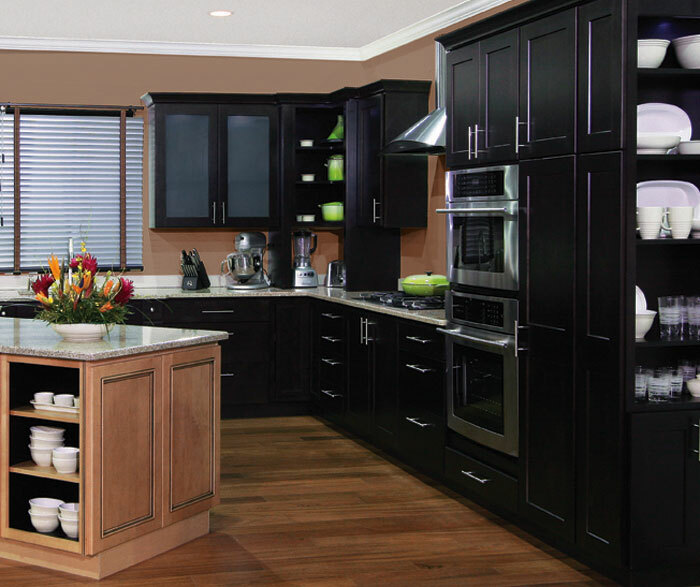 Using darker wood or bold colors for a select group cabinets, and lighter tones or accent colors for others. Mixing light and dark woods throughout the space. 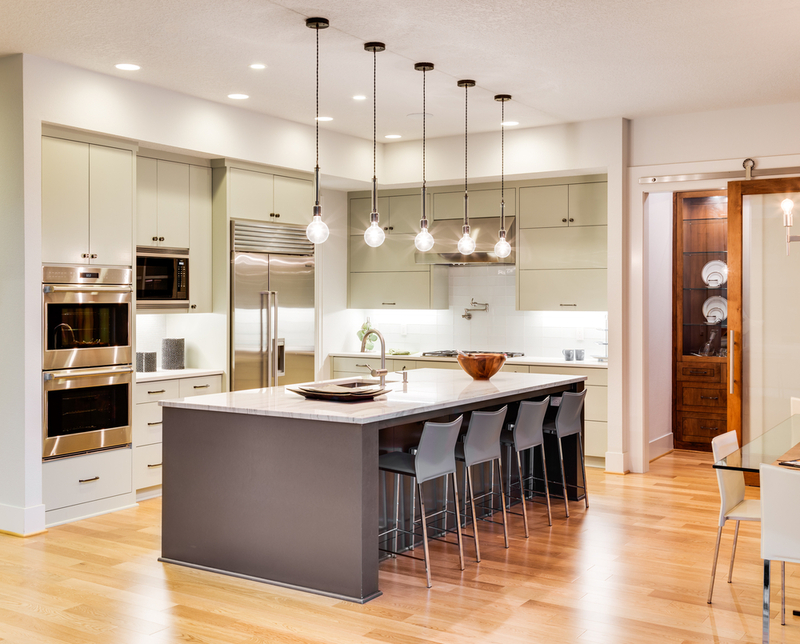 While more open space is certainly the latest trend, some homeowners have begun using vertical space in the kitchen more efficiently, by adding floor to ceiling cabinetry. Floor to ceiling cabinetry works well in larger kitchens with high ceilings, providing dedicated storage space for dishes, pantry items, and much more. Floor to ceiling cabinetry can also make use of glass doors, functioning as a modern-day hutch to display antiques, dishes, or decorative glassware. As we rely more heavily on our smartphones than ever before, it’s no surprise that technology has started to make its way into modern cabinetry. At the most basic level, many homeowners are adding charging stations to their cabinetry to charge multiple devices. For those who follow recipes on their tablets or smartphones, built-in docking stations are a great option to make viewing more convenient and mess-free. For homeowners looking for more robust solutions, modern cabinetry can be equipped with wireless speakers, televisions or built-in tablets, providing unprecedented access to information and entertainment in the kitchen. 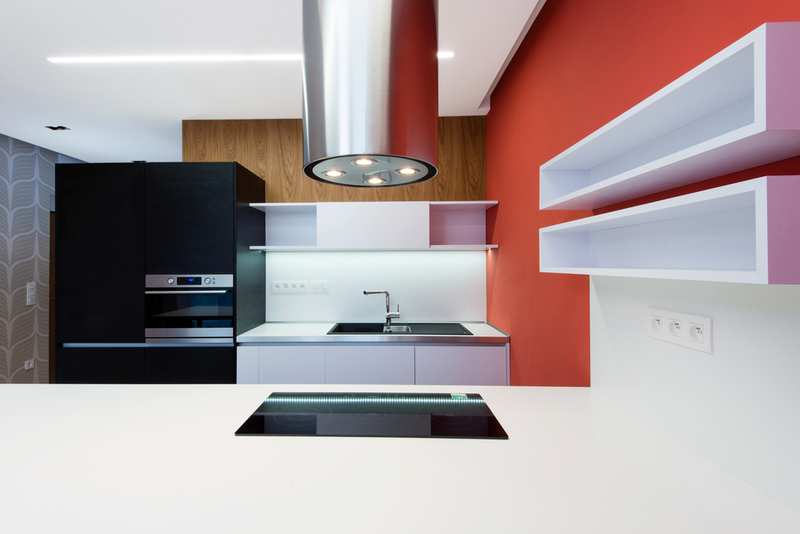 With bright and airy spaces in vogue, it’s no surprise that modern, efficient LED lighting continues to be a popular kitchen trend. Under-cabinet lighting is easier to install than ever, providing plenty of light to slice, dice, and mince to your heart’s content. Plus, all that extra light improves overall ambiance, making kitchen spaces feel more open and inviting. As you can see, there’s a lot to like when it comes to the latest cabinet design trends for 2019. Whether you love open space, design simplicity, innovative organization, or adding your own personal style, you’re sure to find something you’ll love for years to come. Ready to upgrade your cabinetry? Red Rose Cabinetry is here to help with every aspect of your project from the latest in quality kitchen cabinetry to complete kitchen remodeling from start to finish. Visit our showroom in Lititz, PA to see a wide range of styles, colors, finishes, and hardware options to suit any budget!